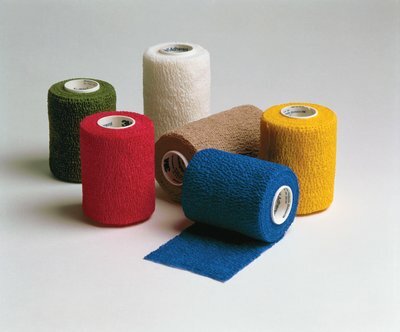 Versatile – Used to secure and protect primary dressings and other devices. Also helps immobilize injuries and provide compression. Available in sterile and non-sterile versions. A self-adherent wrap used to secure dressings and other devices; compress or protect wound sites; immobilize injuries, and more. A self-adherent elastic wrap that functions like a tape, but sticks only to itself. Used to secure dressings and other devices; compress or protect wound sites; immobilize injuries and more. Available in sterile and nonsterile versions and in a variety of widths and colors to meet your application needs.